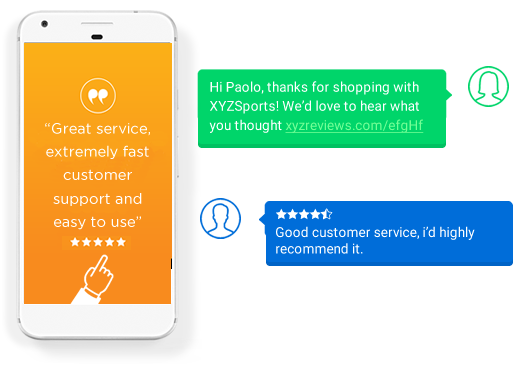 SMS or Text messages have become the fastest method of getting your message in front of the customer with near immediate feedback from the customer which helps understand the strength and success of the communication. SMS messages have a high open rate, with nearly 98% of messages received being opened within the first 90 seconds. Using a 2 Way SMS campaign can further help increase customer loyalty and interactivity by requesting them to respond to the communication in exchange for loyalty points or offers. For example, a text message asking the recipients to reply back with their favorite stores or brands for additional loyalty points or for customized offers, can help marketing understand their customers preferences and better plan their promotions and offers. Armed with this data, marketers can refine their communication to the segmented customers and generate more value from the marketing activities. A leading retail group recently wanted to update its update its member database with new contact details. The contact information available with the group included mobile numbers of its members which were frequently used for one way SMS communications. The group saw this as the most viable way to get customers to interact with the group and to get them to update the loyalty database with additional details on other modes of communications and preferences. Using past experience in communications with its member database, the group prepared an enticing message to be relayed to them as a text message with a call to action to update their contact details. The message requested the members to reply to the text message with their email address to stay update on their loyalty program and earn additional loyalty points. 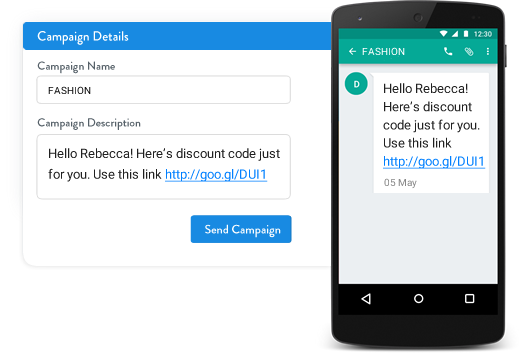 The campaign was sent out using Reson8 Online, a SMS marketing and communications platform, from Unique Computer Systems which provides options for 2 way SMS communication over a shared short code. Using the shared short code helps the customer keeps the marketing costs lower while providing full benefits of 2 way SMS messaging. 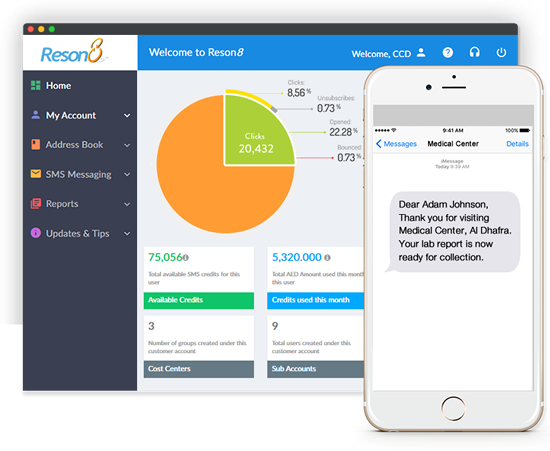 The Reson8 Online reporting interface allowed the group to extract data on responses at their convenience to be able to manually evaluate the information and update it to their loyalty database. Within 10 days of the campaign being sent out, over 10% of the recipients sent back responses with their updated information. The campaign helped keep the member database up to date and fresh for the retail group and at the same time. 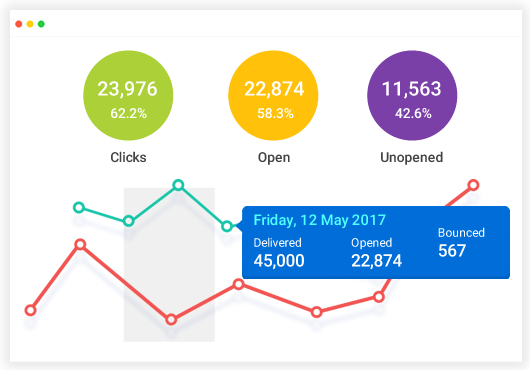 The group was also able to see how many customers responded to the message and update their database on the level of engagement with these customers. Using this information the group would be able to better segment the customers and use the information for future SMS and Email promotions. It is clear to see that SMS leads over most all communications methods in the ability to send a message to a very large audience and received feedback from them. Conducting a similar exercise by using a call center or telephone based campaign would require several months and multiple personnel before the data can be analyzed and used for future campaigns. A marketing campaign also may be slower as not all recipients would open and respond to an email immediately and most would not necessarily have access to email everywhere, whereas SMS can be received and responded to immediately. Reson8 Online and Reson8 Enterprise provide excellent tools to help send your message to a wide audience and incite a response from them. Both provide the ability to tailor the message to a specific individual or a segmented group in multiple languages. SMS is a very personal and it is important to make sure that the message is tailored in the appropriate way to engage the recipient and build trust with the audience and drive a positive outcome from the SMS campaign.